The highly anticipated 3rd full length album by CN has finally landed. The Derelict is the follow up to 2011’s concept album The Expedition Beyond. The Derelict marks the first collaboration between WR and the excellent WeMe Records with this special split label vinyl release. Ten new tracks of hypnotic braindance music by one of the best producers in the business, Mr. Stian Gjevik. 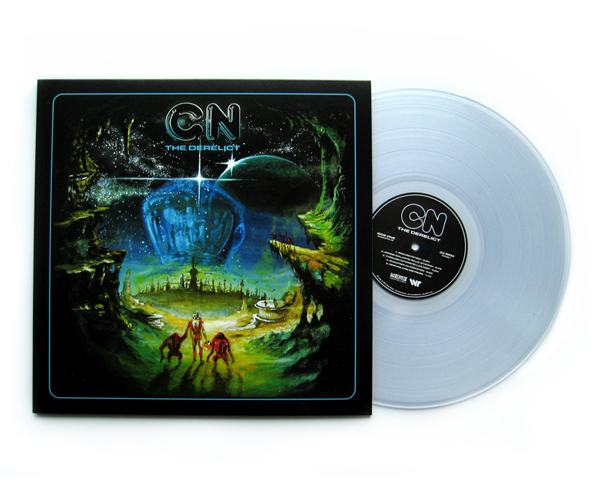 This LP is limited to 500 copies total on both traditional black or clear vinyl, featuring beautiful cover paintings by Adam Burke (the man behind CN’s NU cover art). Don’t miss it. Click here for black vinyl version. Click here for clear vinyl version. Or here for digital version. 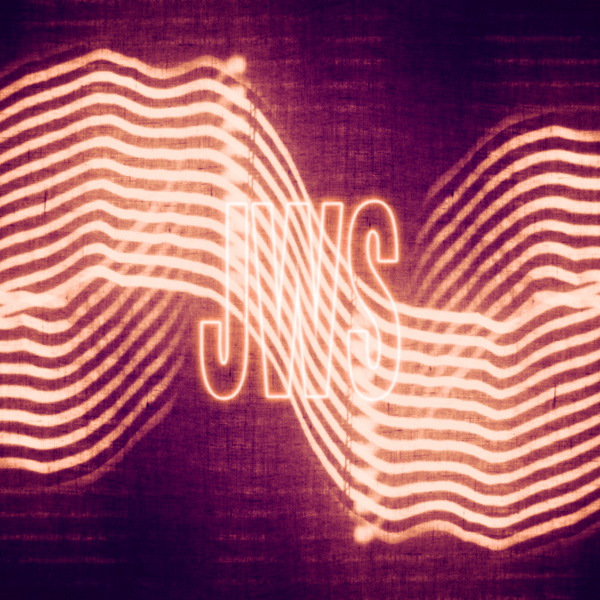 You can also support CN directly by purchasing the digital album from his bandcamp site here. As always, thanks for listening and thank you for your support. And a big thank you to Fred at WeMe Records for making this release possible. In the wake of the RAD CULT‘s recently released debut LP by High Tides, we are very pleased to announce that today we (in conjunction with RAD CULT) are releasing a special limited edition CD version of this excellent album by the guys who brought you The Red Falcon Projects, Dorosoto, Mall Security, Kontyx and Forrest: Warren Kroll and Steve Lutes! This time these two talented producers take us on a trip to a warm distant shore ripe with lush breezy melodies melted together in the hot sun over crisp refreshing beats and bountiful bass, creating a vibrant and colorful world that you’ll never want to leave. Each CD also comes with a tropical “Island Coconut” scented air freshener, so your daily life can continue to feel like just another day on the beach! Mix up some Malibu with tropical juices of your choice, press play, sit back, relax and drift away… A Laid back listening experience for daydreamers and sun seekers. Limited to 100 copies. 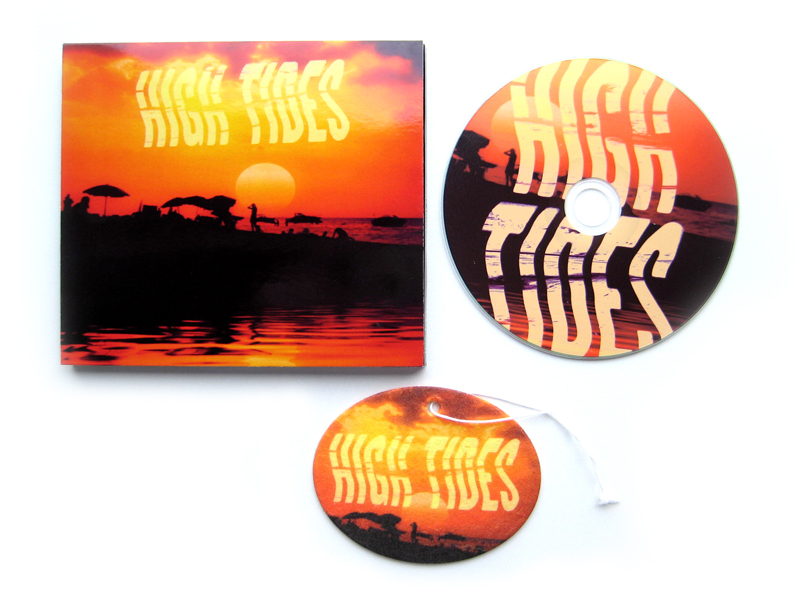 CD version contains a slide show of extra fold-out artwork and two exclusive bonus tracks “Eruption (High Tides Instrumental Version)” and the blissed-out extended “700 Mile Beach”. For digital versions, vinyl and t-shirts, check out High Tides and other excellent music by TOBACCO, Demon Queen, Black Moth Super Rainbow and more at the RAD CULT bandcamp site here. 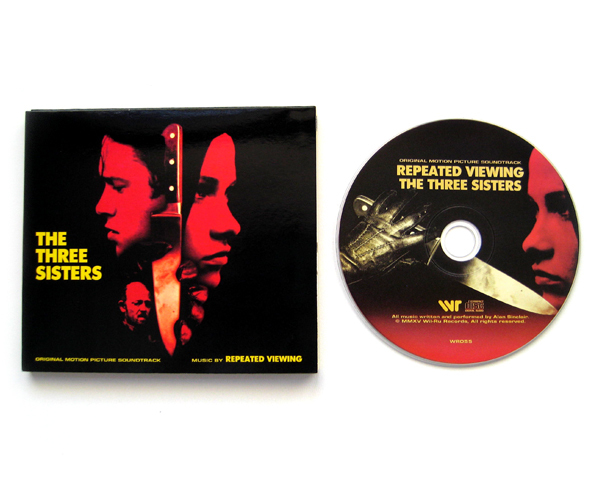 We are very pleased to announce the release of Repeated Viewing‘s latest score for the Irish neo-giallo thriller The Three Sisters! The Three Sisters (Written and directed by Dáire McNab) is a giallo/murder mystery film set in modern day Dublin. The film stars Elliot Moriarty, Gillian Walsh and Neill Fleming and features a special guest appearance by Giovanni Lombardo Radice (City of the Living Dead, Cannibal Apocalypse, Stagefright: Aquarius). The film is still yet to be released (scheduled for release later this year), but the excellent score by Alan Sinclair (as Repeated Viewing) is made available now from Wil-Ru Records with a limited edition CD as well as full digital release. Fans of classic 70s and 80s horror scores (especially the ones of the Italian persuasion) will eat this up! We hope this is merely the beginning for this extremely talented young composer! And did we forget to mention that in addition to the full original sountrack, we’ve collected four additional remixes by Antoni Maiovvi, Vercetti Technicolor, Umberto and Night Sequels? Enjoy this rare treat from a very talented group of musicians! Out today! A brand new three track single from horror-maestro Repeated Viewing (Alan Sinclair). 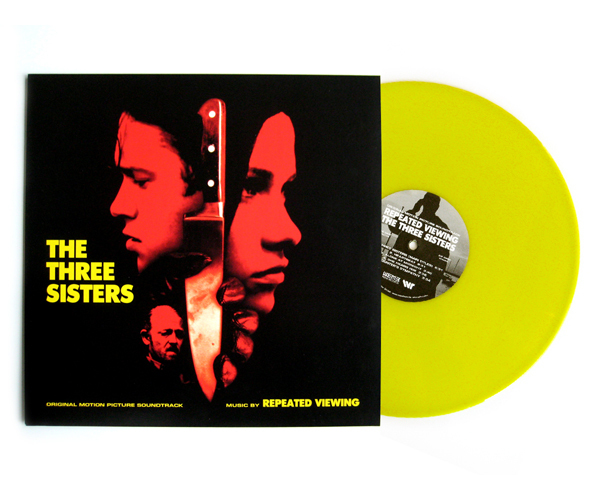 Track one “Three Sisters (Main Titles) is exactly what it sounds like, it’s the theme song for Alan’s upcoming full length motion picture soundtrack for Dáire McNab‘s modern day neo-giallo murder mystery/thriller The Three Sisters. As a sneak peek of things to come, we give you this new single that features the spooky main theme song from the Three Sisters backed with two exclusive bonus tracks: the Carpenter-esque synth driven “Wanderer” and “The Horror Of Bexteth Hill“, which sounds like it could be the theme song for a long lost vampire-centric Jess Franco film from the early 70s. This single is available for free (name your price) from our bandcamp store. 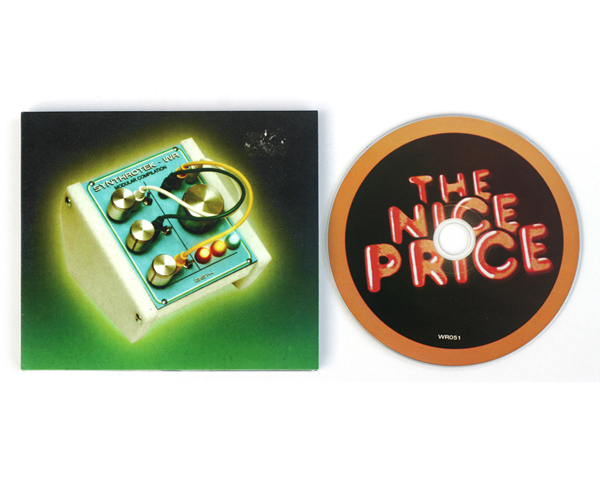 For more information about this release click here, or get it directly from bandcamp here. A brand new EP by WR newcomer Dmitry Mazurov is out today. It’s called Mimicry and it features four fresh cuts of masterfully produced atmospheric idm by this extremely talented Russian producer. Or go directly to the WR bandcamp page to purchase Mimicry here. 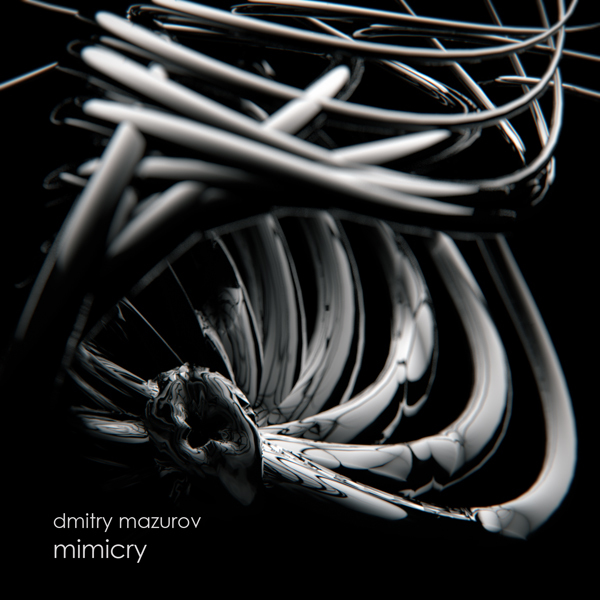 Dmitry Mazurov’s Mimicry EP lands this Friday! 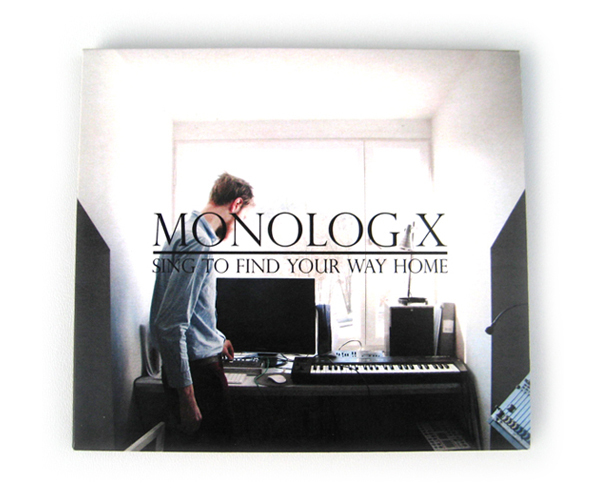 Today we welcome Monolog X to the WR family with his latest album Sing To Find Your Way Home. Stockholm Sweden native Johan Ericsson-Degerlund has been producing far out sounds over the past few years under the name Monolog X and has put out a handful of releases on various labels around the globe. Sing To Find Your Way Home is his second full length album continuing the story where his previous album The Shape Of X To Come (Swishcotheque, 2012) left off. Presented here in limited edition Digipak CD and Digital formats. For more information and sounds click here. For digital version, click here. Various Artists – Synthrotek/WR Modular Compilation Out Now. Now available from WR! The first collaboration between WR and Synthrotek DIY electronics: a thirteen track compilation CD featuring artists working nearly exclusively with modular synthesizers! Far out electronic sounds from some members of the WR family as well as some special guests. Dive deep into the world of modular synthesis with artists such as Twin Braids, Venetian Snares, Koolmorf Widesen, Tanuki House, Cliff White, Surachai and many more. For a full track listing, sounds and visuals, click here! Just after the digital album? Grab it here for only $6.00. For more information on modular gear and DIY kits, visit Synthotek’s site here, and start your own set up!